The UBC Library provides access to server space and to the open source OJS (Open Journal Systems) software for UBC faculty members who are editing or supporting Open Access electronic journals as well as recognized UBC student journals. For more information, please read the terms of service. Please send us a message if you would like further information or if you are interested in this hosting service. Cultural Logic, which has been on-line since 1997, is a non-profit, peer-reviewed, interdisciplinary journal that publishes essays, interviews, poetry, and reviews (books, films, other media) by writers working within the Marxist tradition. The Canadian Journal of Undergraduate Research (CJUR) was founded in 2015 at the University of British Columbia. 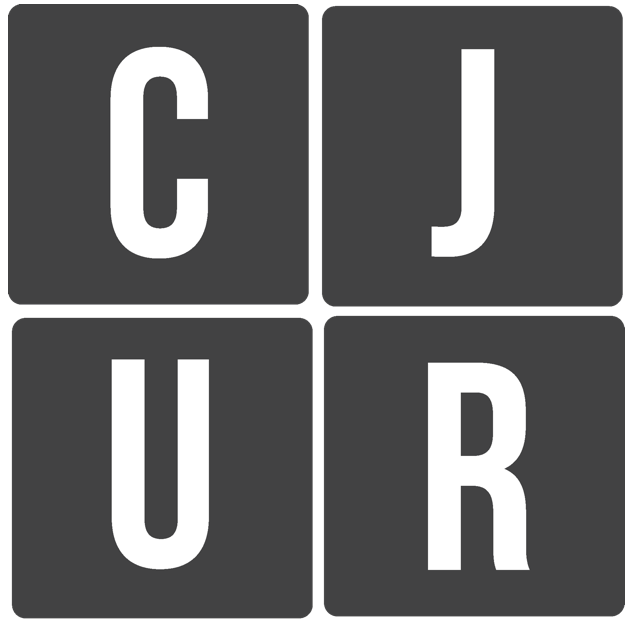 CJUR is a multidisciplinary bi-annual student-led publication that aims to provide an accessible platform for undergraduates from all Universities across Canada to gain experience publishing academic articles and share their research. Submissions are reviewed by graduate students with experience in the field of the submission. Multiple article types are accepted, including: primary research, literature reviews, critiques, and commentaries. We accept rolling submissions anytime throughout the year. We recommend submitting early for shorter turnaround time with reviewers and faster publication. The Canadian Journal of Community Mental Health provides a much needed forum for Canadian scholars and practitioners with interest in the promotion of positive mental health and the prevention and treatment of mental health problems in community settings. The Journal is an interdisciplinary publication devoted to the sharing of information and valid knowledge about phenomena pertinent to the mental well-being of Canadians and their communities. The Journal of the American Association for the Advancement of Curriculum Studies (JAAACS) is the official publication of the American Association for the Advancement of Curriculum Studies (AAACS), the U.S. affiliate of the International Association for the Advancement of Curriculum Studies (IAACS). In collaboration with other local IAACS affiliates, AAACS seeks to provide support for scholarly conversations within and across national and regional borders regarding the content, context, and process of education, the organizational and intellectual center of which is the curriculum. We seek to interrogate and expand the traditional boundaries of the North American curriculum studies field through the ongoing consideration and inclusion of recent and historical work that can be seen to serve the greater purposes of our field. We seek to explore international literatures that promise to inform and enrich our work within the North American field and to lead to deeper conversations and collaborations with our international colleagues. Information on the current editoral team can be found here. See Also: the UBC iSchool Student Journal is a student-run, open access journal dedicated to promoting and disseminating scholarly work, including original research, by UBC SLAIS students in the fields of Library Science, Archival Studies, Information Studies, and Children’s Literature. Issues are published once a year. See Also is committed to providing a platform for students to gain valuable experience in all aspects of scholarly publishing: as authors, peer reviewers, designers, and editors. Established in 1969, BC Studies is dedicated to the exploration of British Columbia's cultural, economic, and political life; past and present. Each issue offers articles on a wide range of topics, in-depth reviews of current books, and a bibliography of recent publications. With a solid national and international reputation for its authoritative and informative content, BC Studies is read by academics and general readers alike. Welcome to Canadian Literature’s submissions portal. The UBC Journal of Family Practice Research and Scholarship aims to disseminate UBC Family Practice resident and midwifery student research scholarship projects. Our mission is to enhance family practice residency and midwifery scholarship by fostering future research projects and stimulating the integration of research findings into clinical practice. The Expedition was established in 2011 as a forum for students in the UBC course Biology 342, Integrative Biology Laboratory, to showcase their projects. Each issue offers articles based on the research of one term’s cohort and covers a wide range of topics base on the investigation of questions in such areas as physiology, genetics and cell biology in a variety of organisms for example Saccharomyces cerevisiae, Caenorhabditis elegans and Arabidopsis thaliana. The Expedition has been particularly helpful to new students in the course as a guide for choosing the direction of their own research projects. The International Journal of Education through Art [IJETA], is the English language journal that promotes relationships between art and education. The term ‘art education’ should be taken to include art, craft and design education. Each issue, published three times a year within a single volume, consists of peer-reviewed articles mainly in the form of research reports and critical essays, but may also include exhibition reviews and visual essays. A transnational, peer-reviewed journal of Marxism and interdisciplinary inquiry that is dedicated to the radical transformation of the contemporary world order. TCI is the journal of the International Association for the Advancement of Curriculum Studies (IAACS), which is constituted to support a worldwide (but not uniform) field of curriculum studies. TCI is archived at PANDORA, Australia's Web Archive and catalogued in the National Library of Australia's Bibliographic Database. UBC PSSJ will be the first student-run, peer-reviewed, and open-access pharmacy journal in Canada. The UBCUJP is an annual, student-run, peer-reviewed journal. Our goal is to provide a platform for psychology undergraduates at UBC to showcase their research. We believe undergraduate research papers provide a fantastic opportunity for undergraduates to experience the peer-review process while also being a valuable resource for faculty and students to learn about the research happening next door.